Order groceries directly from Woolworths any time using the Woolworths shopping App on your Family Hub! 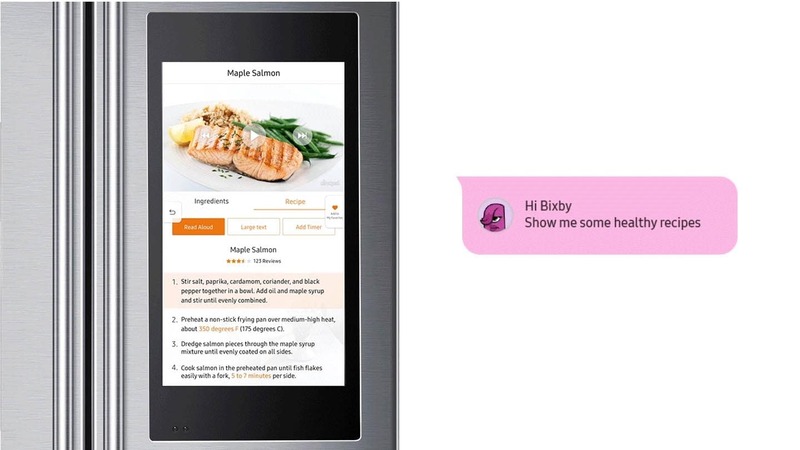 With access to recipes through the app, you’ll never have a boring meal again! 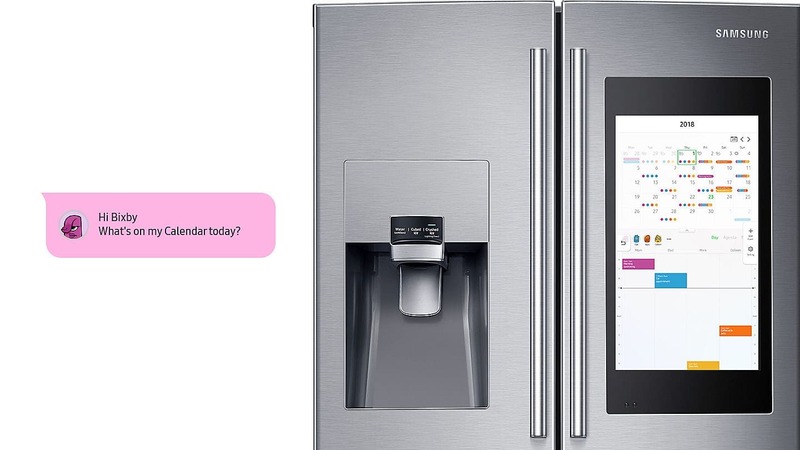 See what’s inside your fridge virtually anywhere, anytime! 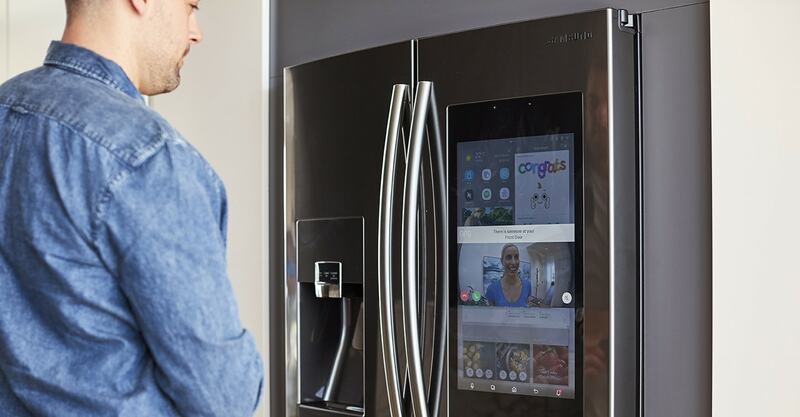 The Samsung Family Hub Refrigerator has internal cameras, which allow you to see what’s inside your fridge from your compatible mobile phone virtually anywhere, at any time – ideal when you are on a grocery run. Now that’s smart! Interested in something different for dinner– no problems. The Family Hub gives you access to thousands of free recipes via the Tasty, Whisk, Taste, Club Des Chefs and All Recipes Apps. 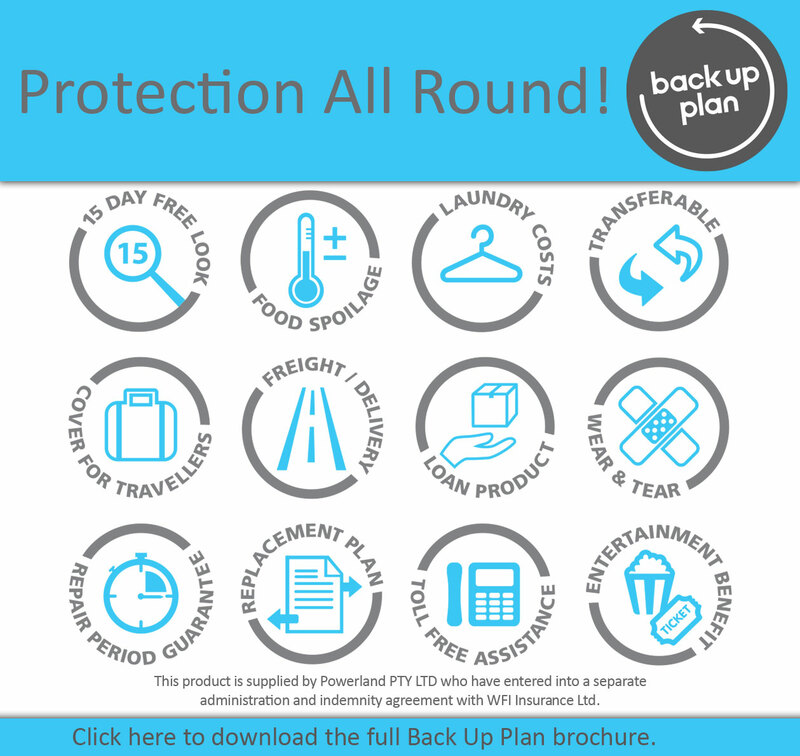 Connectivity with apps like Uber, Ring, Nespresso and Skoolbag. 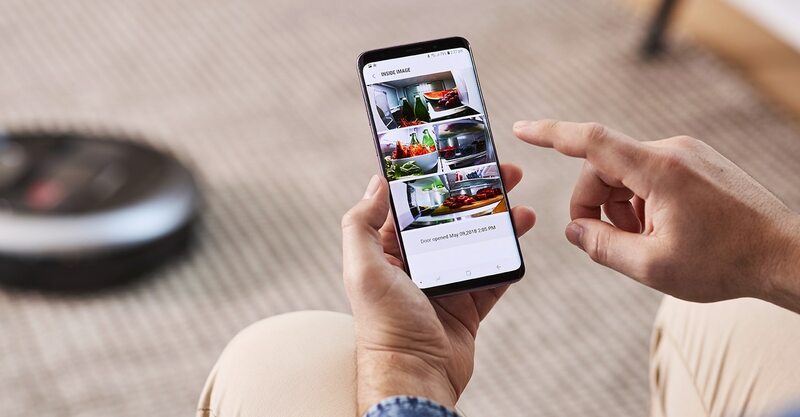 Customise the LCD home screen with your own family photos and create profiles for each family member (up to 6) with customised avatars to sync calendars, memos and to-do lists. 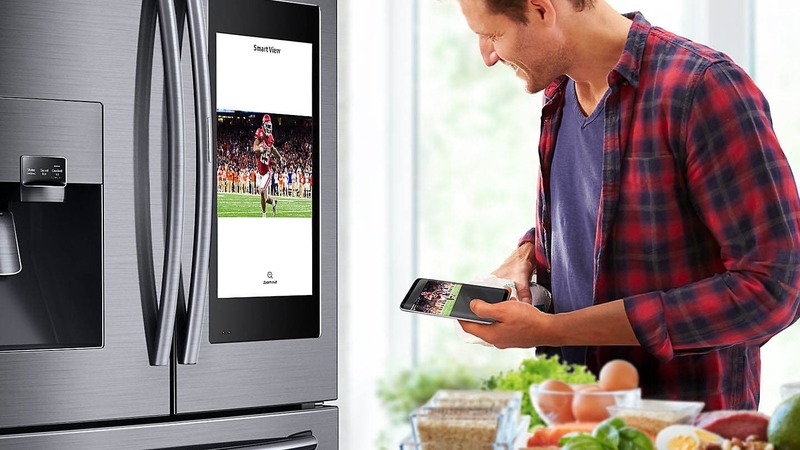 With a built in speaker system, access music with apps like Spotify and Tune-in Radio while you cook. 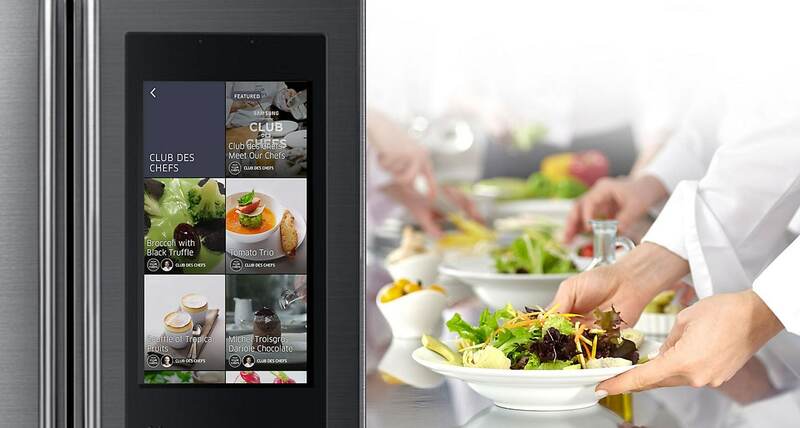 Watch your favourite cooking shows with TV Mirroring for entertainment at your fingertips! 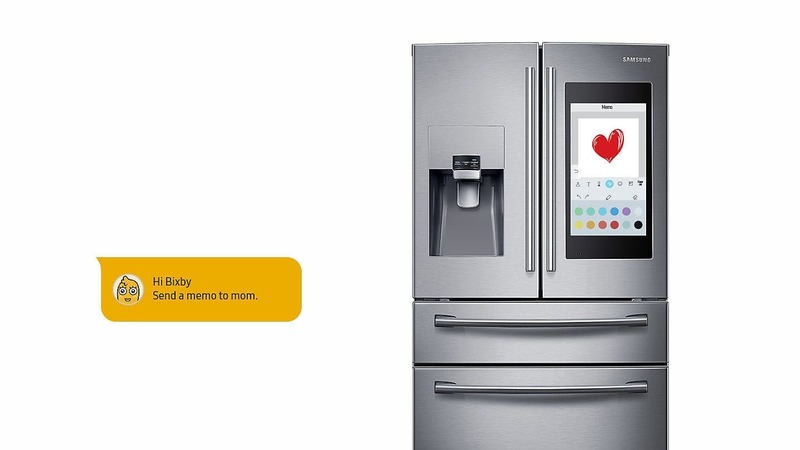 Compatible with the Ring Doorbell Pro and Elite, see who’s at the door from the Family Hub LCD. 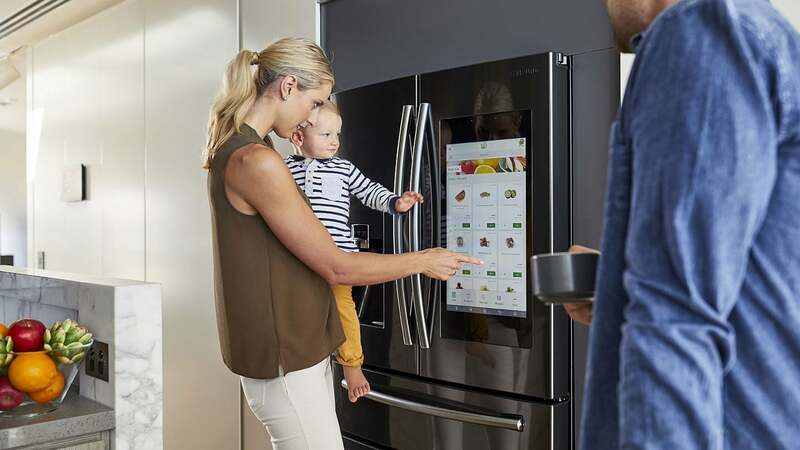 Enjoy the convenience of voice-activated controls. Add items to your shopping list, play music through the music apps, set timers or search the internet, all with your voice. 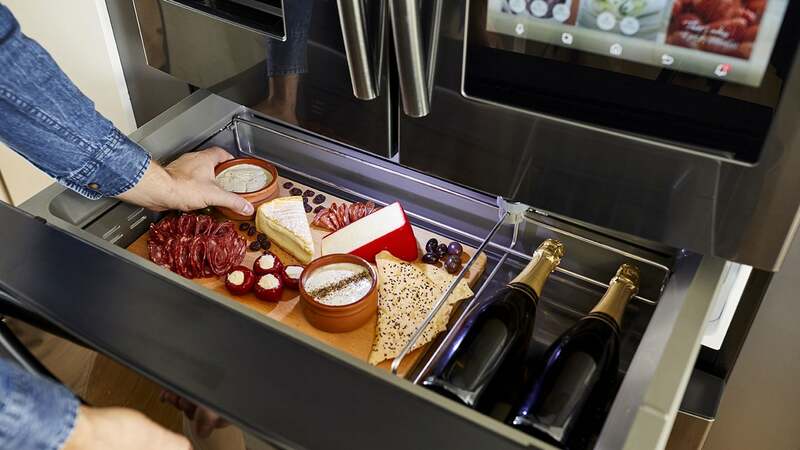 With four pre-set temperature settings and space storage options, the mid-drawer can be optimized for fresh meat, poultry and fish, chilled beverages, deli foods or wine. 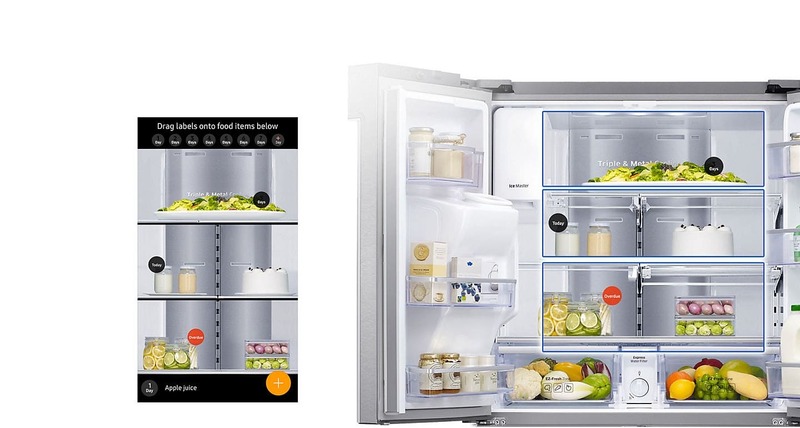 Twin Cooling Plus with separate cooling systems in the fridge and freezer helps maintain temperature control when the door is opened and minimises the mixing of odours. 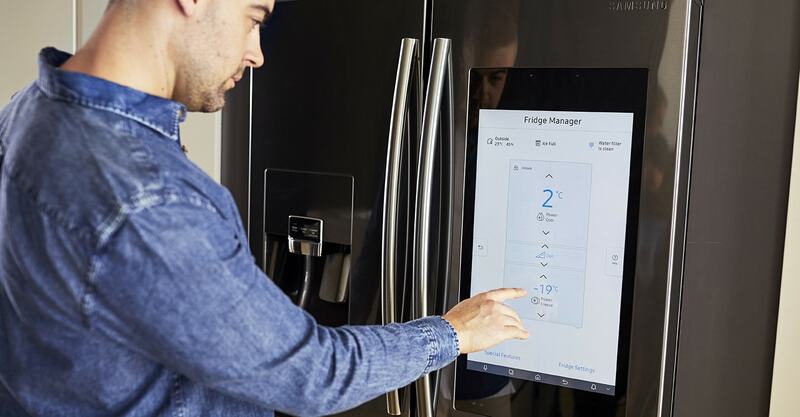 As well as the entertainers drawer, you can change the temperature setting of your fridge and freezer with a few simple taps.